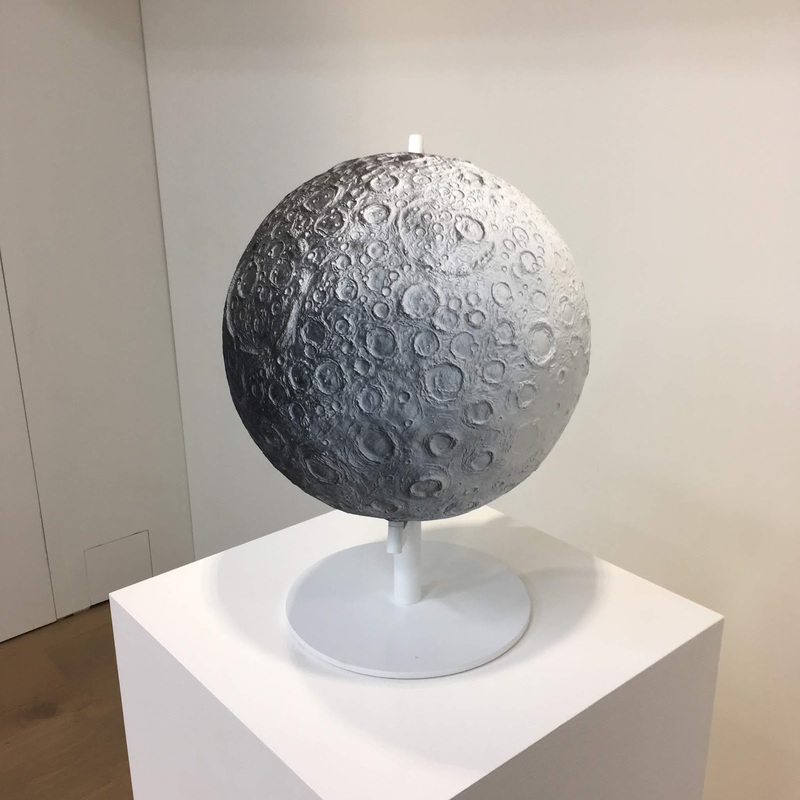 Perrotin Tokyo, in collaboration with Nanzuka, is pleased to present two concurrent solo exhibitions by New York-based artist Daniel Arsham. 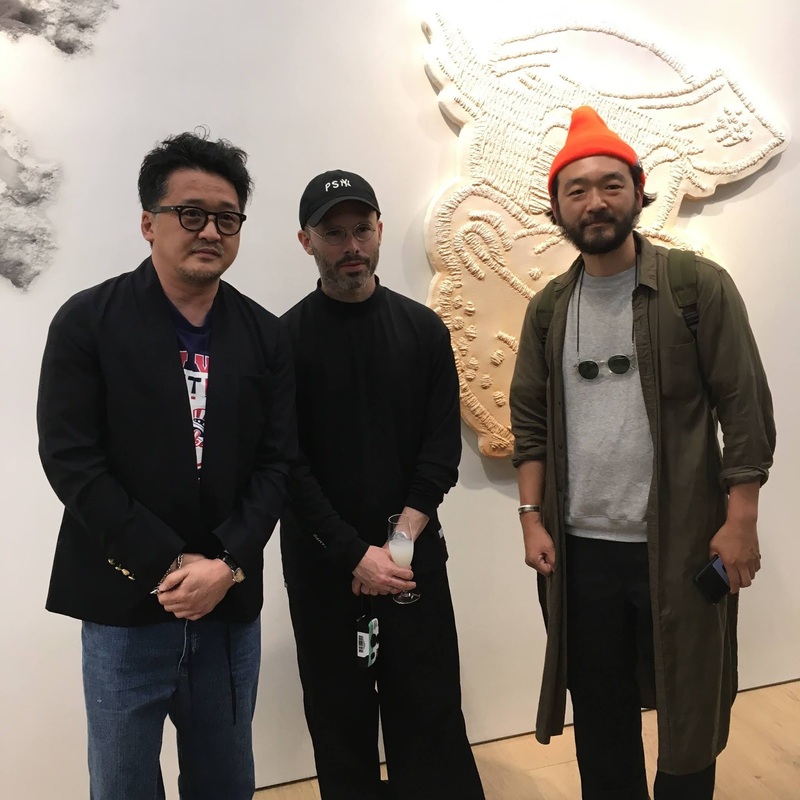 This show marks the artist's first exhibition at Perrotin Tokyo and fourteenth solo show since joining Perrotin gallery in 2005. 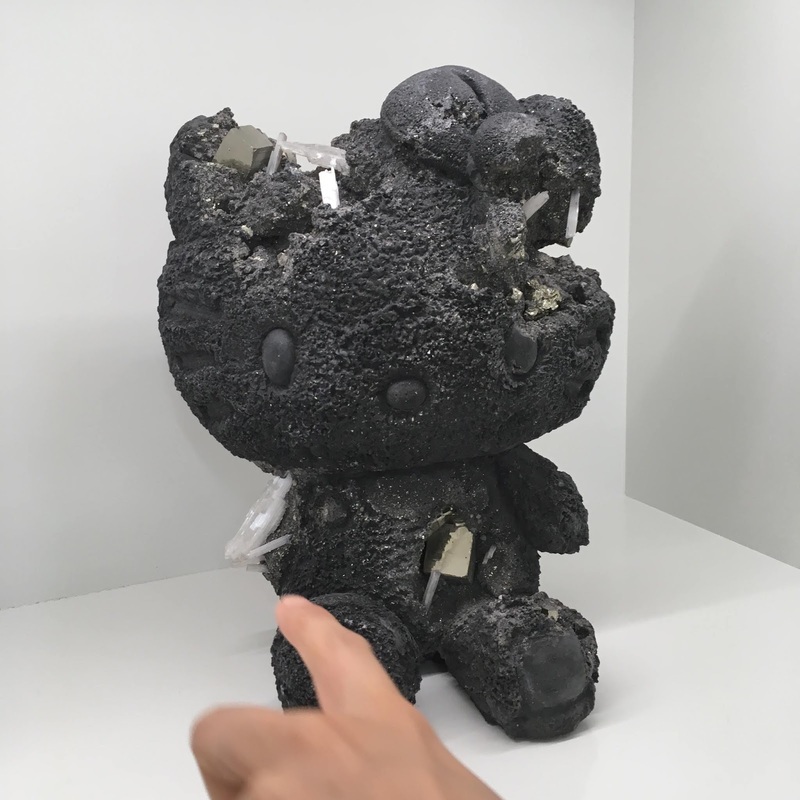 Daniel Arsham, since 2013, has transformed a variety of modern cultural objects - with obsolescence built into their DNA—into crumbling relics. 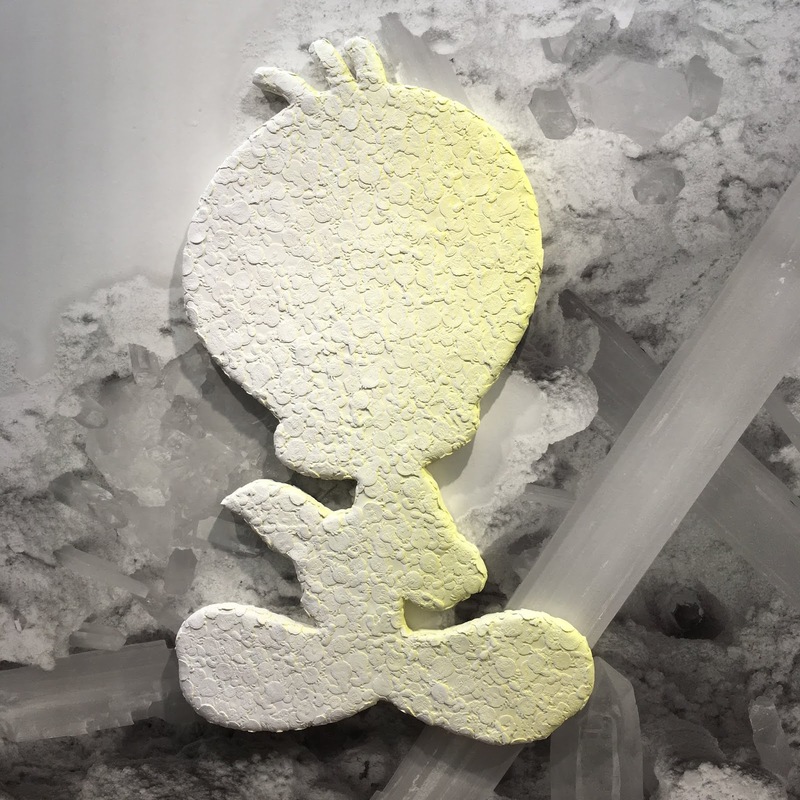 Through the evolution of his Fictional Archeology series, Arsham established his signature sculptural style which employs a unique casting technique to produce objects made from earthly substances including volcanic ash, obsidian, carbon dust and rose quartz. 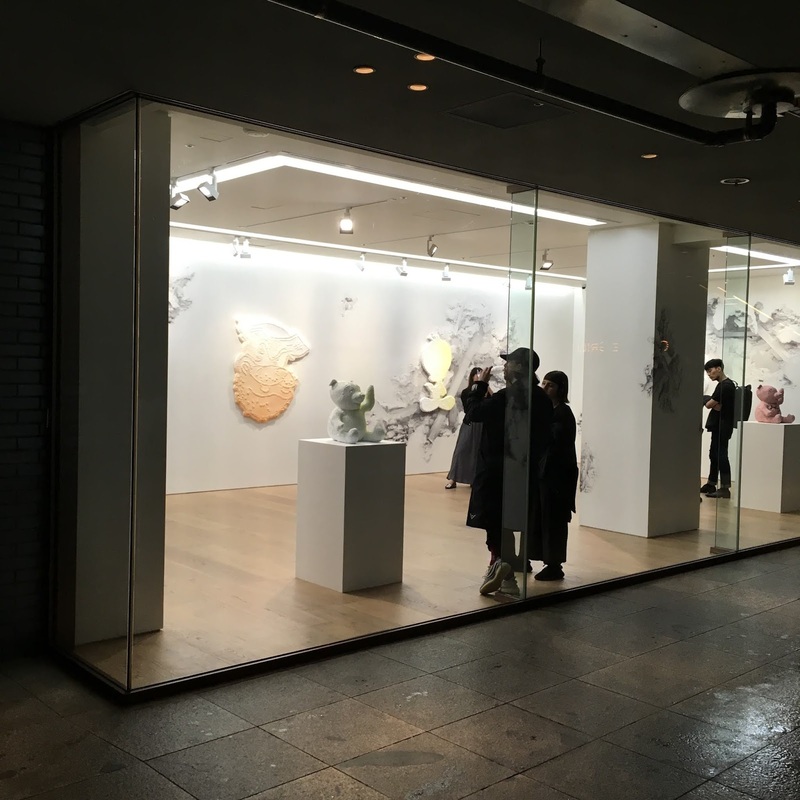 カラー・シャドウ (Color Shadow) groups together a series of cast sculptures made from geological materials, plaster and metal, and, for the first time, bronze, a new format for the artist. 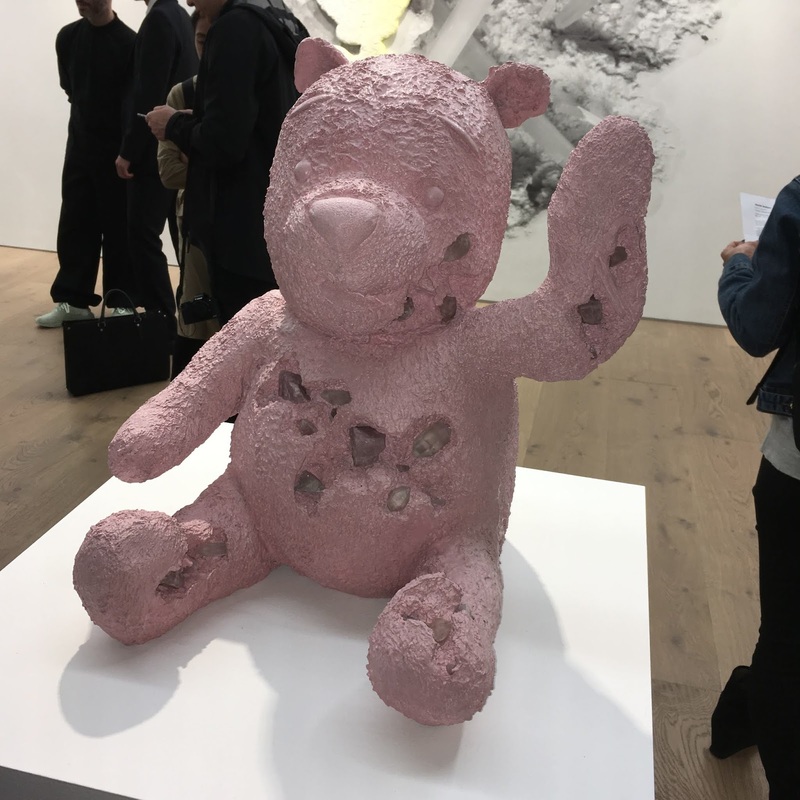 Consistent with Arsham's broader practice and his relationship to architecture, these cast works of childlike stuffed animals are placed strategically on the ground in careful relation to one another within the gallery's exhibition space. 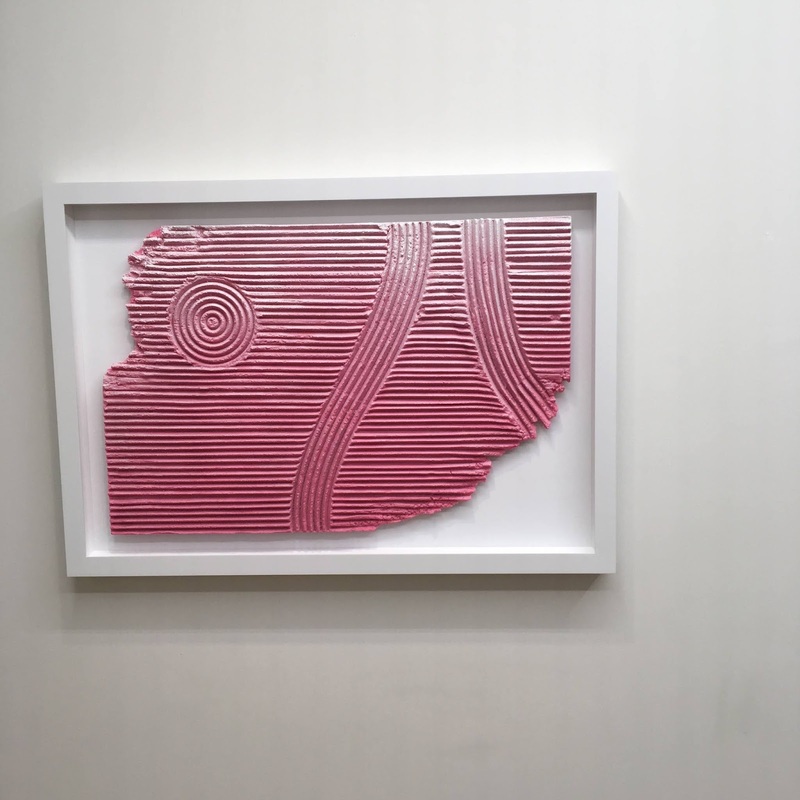 Taking this a step further, the artist has covered the walls of the gallery from oor to ceiling so that they appear eroded and degraded, creating an atmosphere in which the entire architectural space is being engaged. 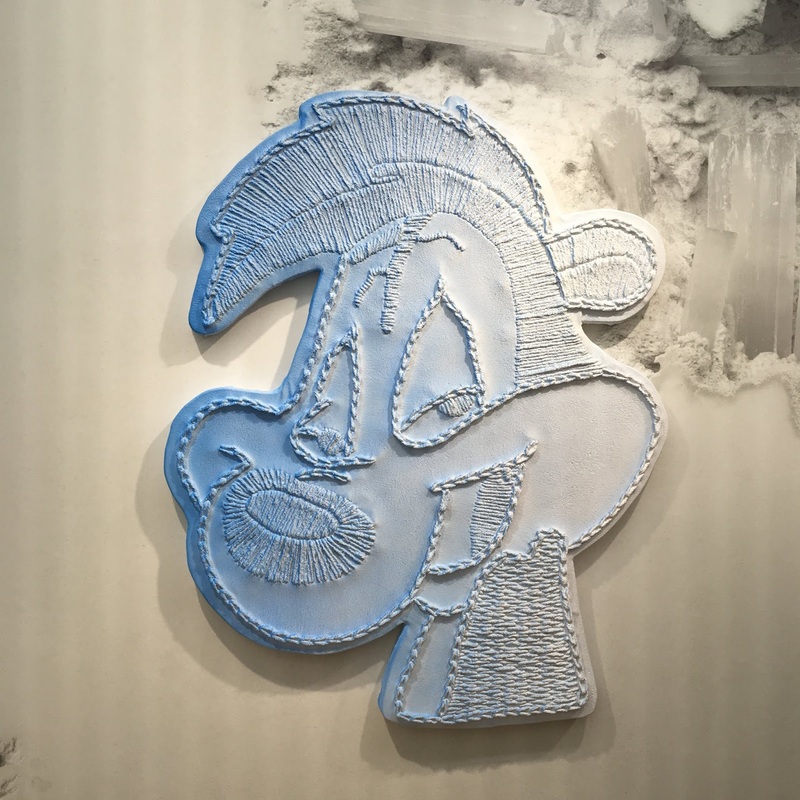 Alongside these pieces, Arsham will exhibit a new body of work introducing a renewed focus for the artist. 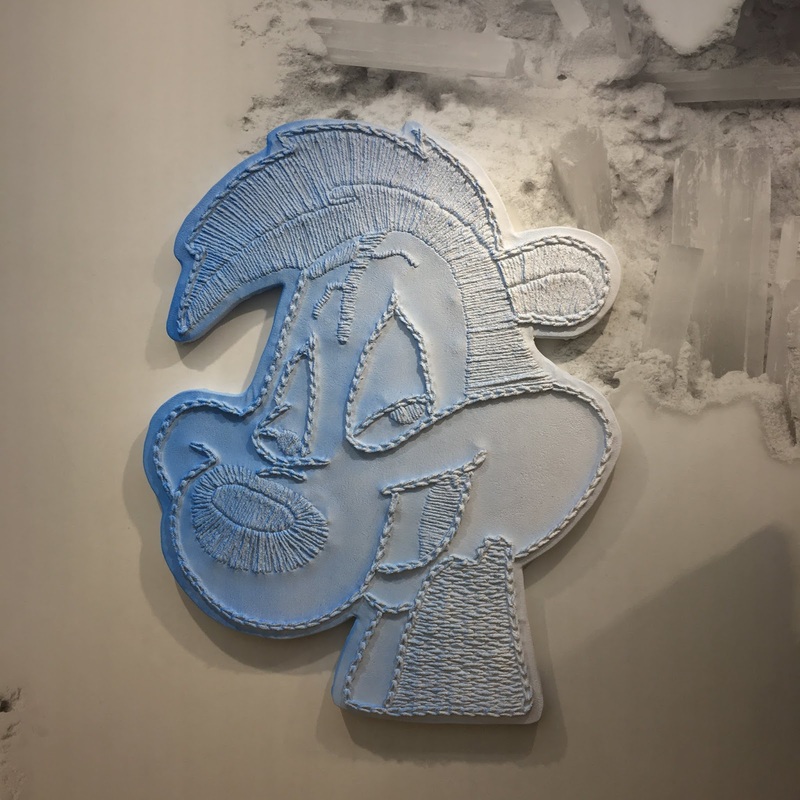 Using original fabric patches pulled from his past of Cookie Monster, Batman, and a smiley face, Arsham has scaled these objects up in size, creating shaped wall works that uncover new information in fascinating detail. In the artist's words, 'These works are all typical pop culture ideas, similar to the selection of Fictional Archeology pieces. They were always selected because they were cross-culturally iconic and recognizable. 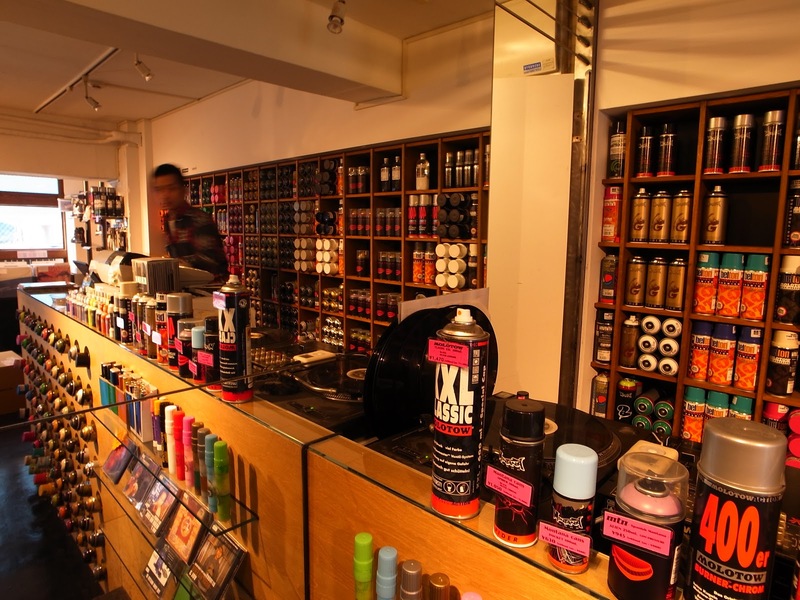 The works, for me, should exist in Japan in the same way they would in New York or Chicago.' 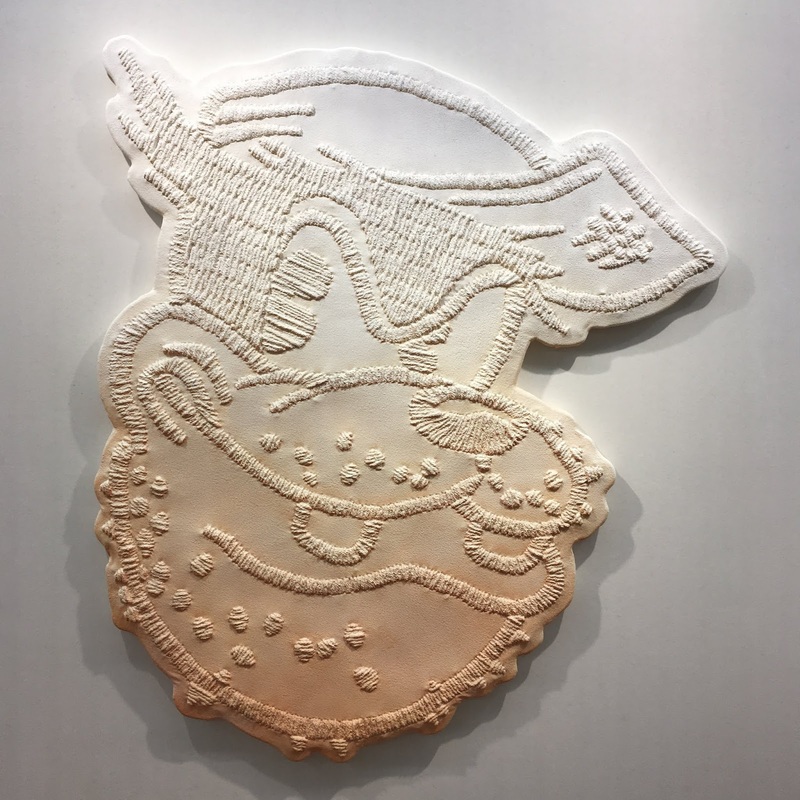 In this new series, Arsham explores the visceral material qualities seen in his earlier pieces while taking the process a step further. 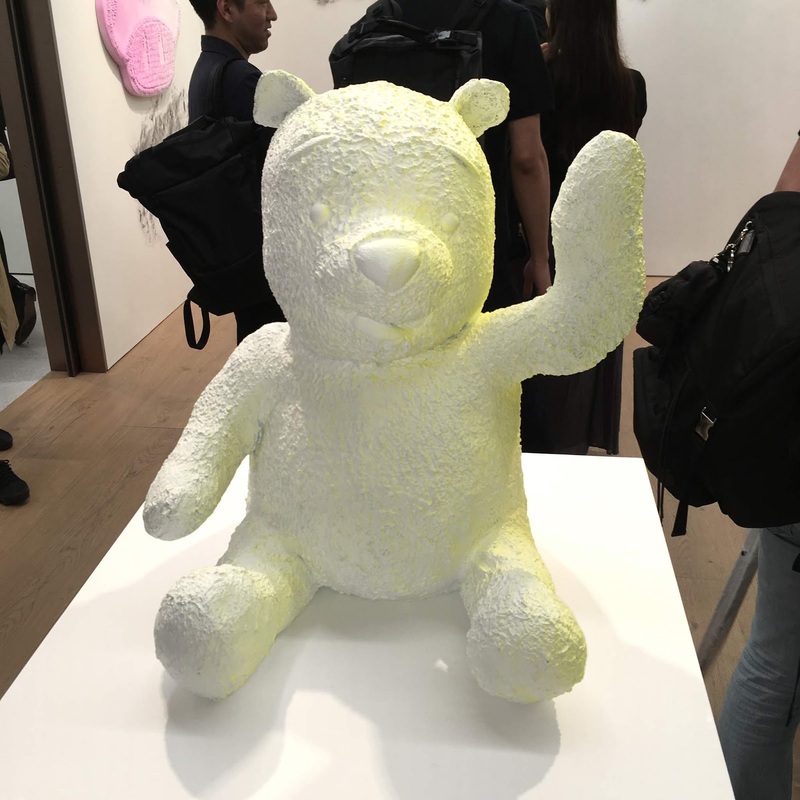 The colour chiaroscuro found in Arsham's patch pieces, and referenced by the show's title, provide a new added dimension to the works. An earlier experience with a pair of EnChroma glasses used to correct the artist's colorblindness led this a new articulation of colour. Removing all the original colours and replacing it with one pigment where the shadows naturally should fall, Arsham re-creates the illusion of a single light source but in an unfamiliar, hyper-realized way. This idea evolved from specific moments in which the artist encountered colours in either bright or very dim light that appeared indistinguishable and dif cult to identify on the colour spectrum. 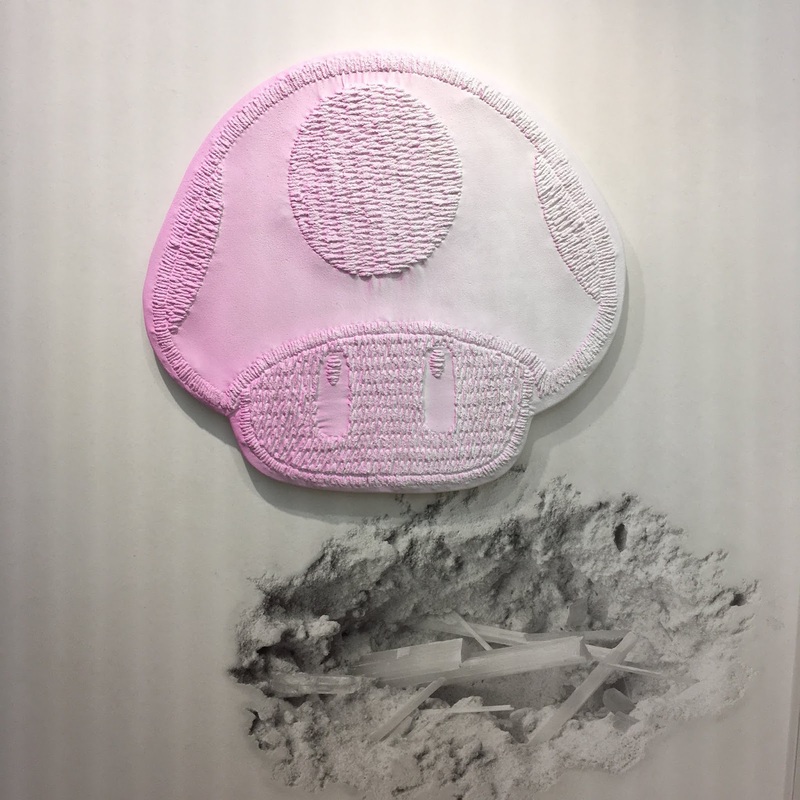 Simultaneously, and in complement to the Perrotin show, Arsham presents アーキテクチャー・アノマリーズ (Architectural Anamolies), a solo show at Nanzuka gallery in Tokyo, which features a separate body of work from his show at Perrotin, with the exception of Falling Clock. Created out of berglass, a simple clock tilts to one side, appearing dramatically caught within the soft folds of white fabric falling down the wall. 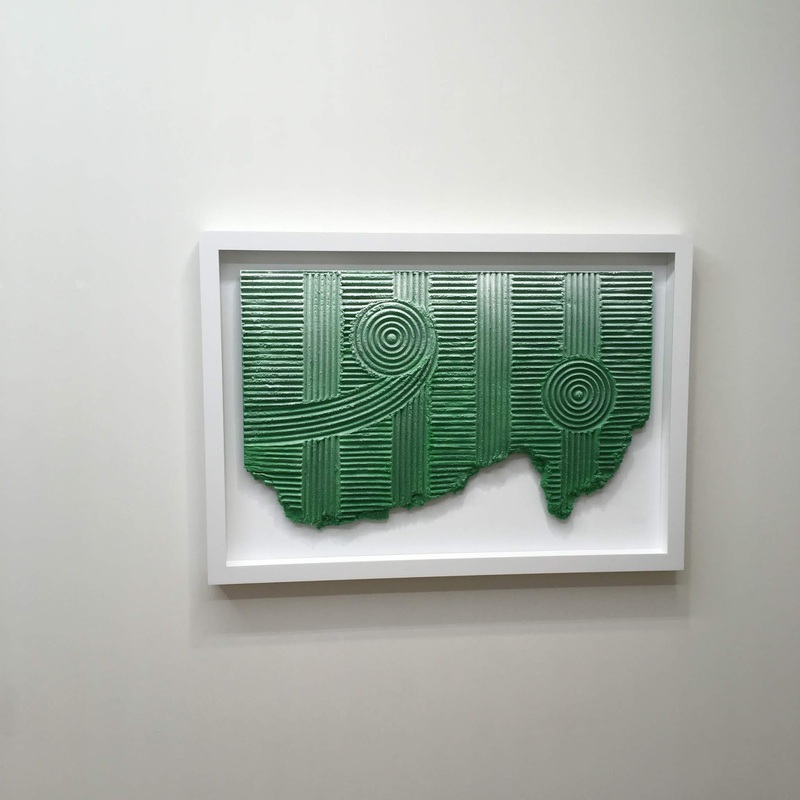 Interacting directly with the architecture of the gallery, Arsham creates embedded forms which appear to reach out towards viewers, much like the pieces he made for his recent show at the VDNH Museum in Moscow, Russia in the Fall of 2017. 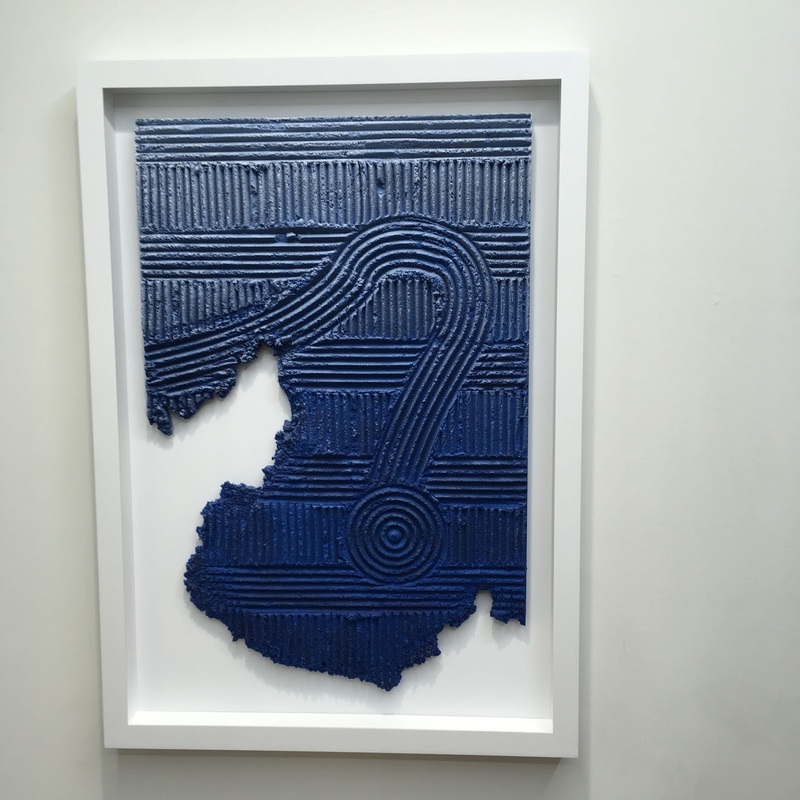 Born in 1980 in Cleveland, Ohio, and raised in Miami, Florida, Daniel Arsham attended the Cooper Union in New York City where he received the Gelman Trust Fellowship Award in 2003. Solo exhibitions of his work have been organized at the VDNH Museum, Moscow, Russia (2017); the High Art Museum, Atlanta, GA (2017); the SCAD Museum of Art, Savannah, GA (2016); the Contemporary Art Center, Cincinnati, OH (2015); the Fabric Workshop, Philadelphia, PA (2012); and Storefront for Art and Architecture, New York (2011). Select group exhibitions and biennials include the Yichuan Biennial of Contemporary Art, Nigxia, China (2016); the OCA Museum, Sao Paulo, Brazil (2015); Musee d'Art Moderne, Saint Etienne, France (2014); the Museum of Contemporary Art, Chicago, IL (2013); the New Museum, New York (2011); the Athens Biennial in Greece (2009); and MoMA P.S.1, New York (2005); amongst others. 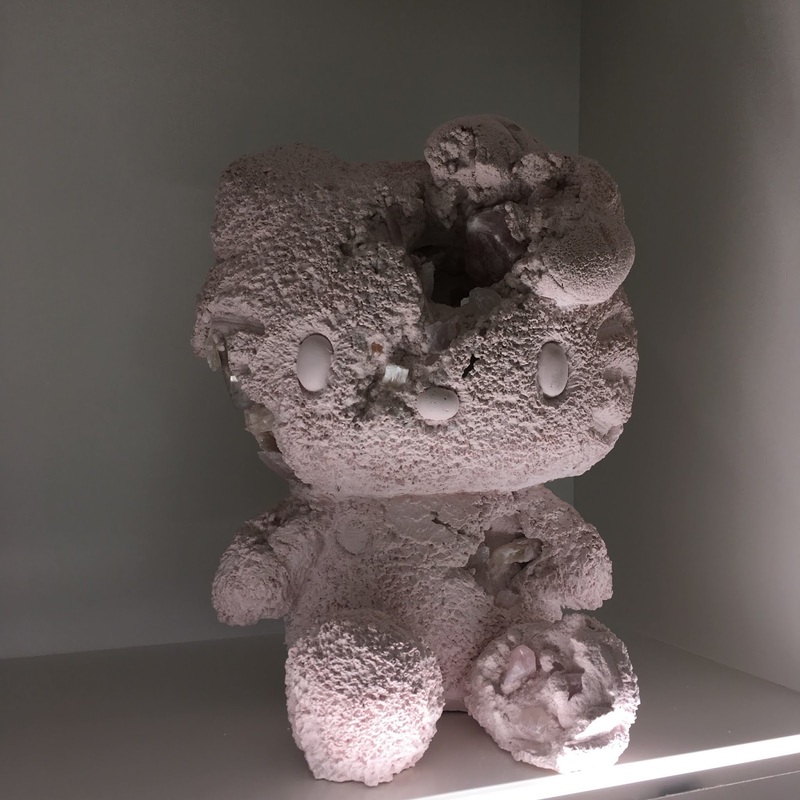 Arsham's work is featured in numerous international public and private collections, including the Blanton Museum of Art at the University of Texas, Austin; the Centre Pompidou, Paris; DIOR Collection, Paris; The Four Seasons, Miami; the Museum of Contemporary Art, Miami; the Pérez Art Museum Miami (PAMM); and the Walker Art Center, Minneapolis. 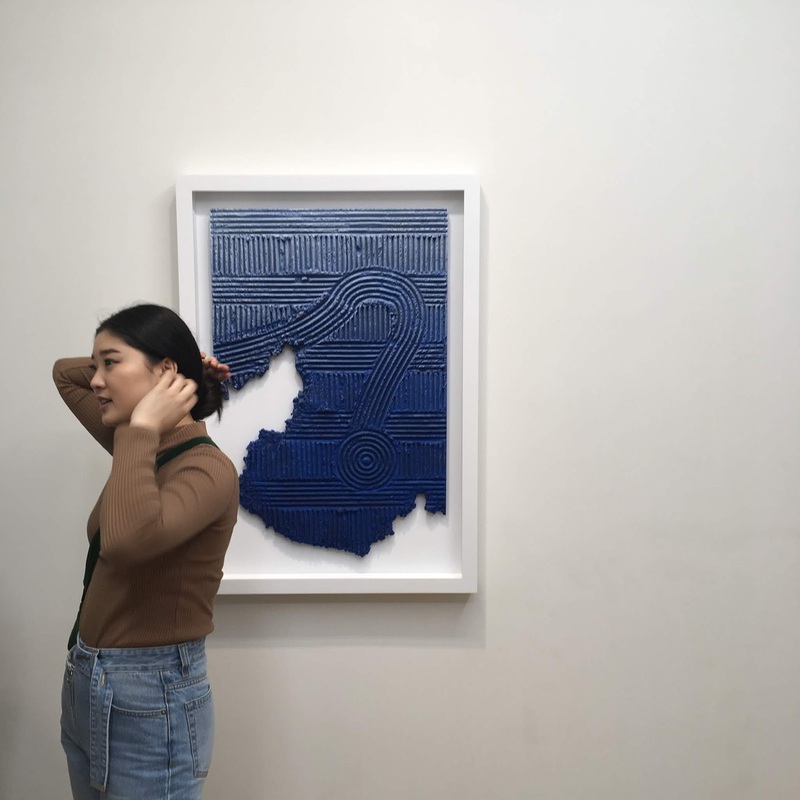 Taking this a step further, the artist collaborated with Brooklyn-based design company, Calico Wallpaper, to produce a site-speci c wallpaper installation which covers the walls of the gallery from oor to ceiling so that they appear eroded and degraded. The result is an atmosphere in which the entire architectural space is being engaged.